Dew Before Dawn | Just Shooting Memories! Sometimes it feels good to get back to the beginning. Over the last several months, my schedule has not allowed me to be out and about around sunrise or sunset. This was probably the closest I was in that time frame and it was still several minutes off. 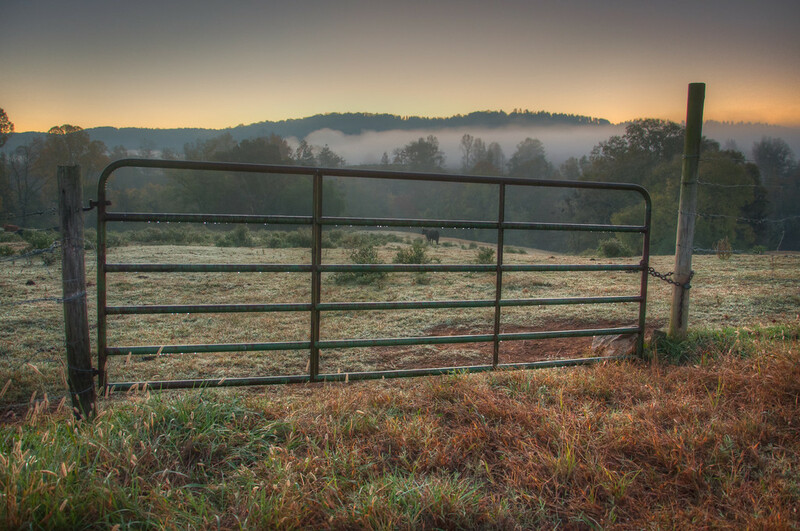 However, I really liked the dew on the gate and the fog visible in the distant valleys. Maybe the next few months will allow me some sunrise time, or maybe I will just have to schedule it. It seems everything I do these days has to be scheduled.